Geographical Range: Southeastern Texas and into Mexico. Habitat: Pools, ponds, swamps. 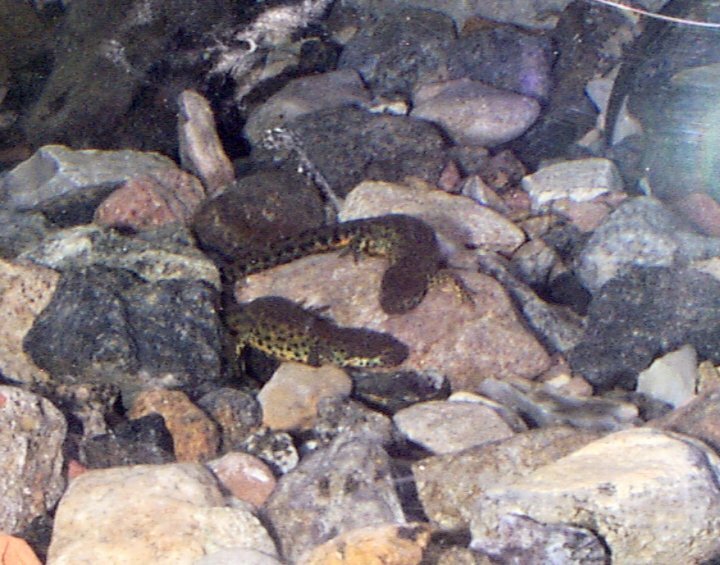 They live under logs and rocks when when water is scarce. The Black Spotted Newt camoflourages well with its environment. 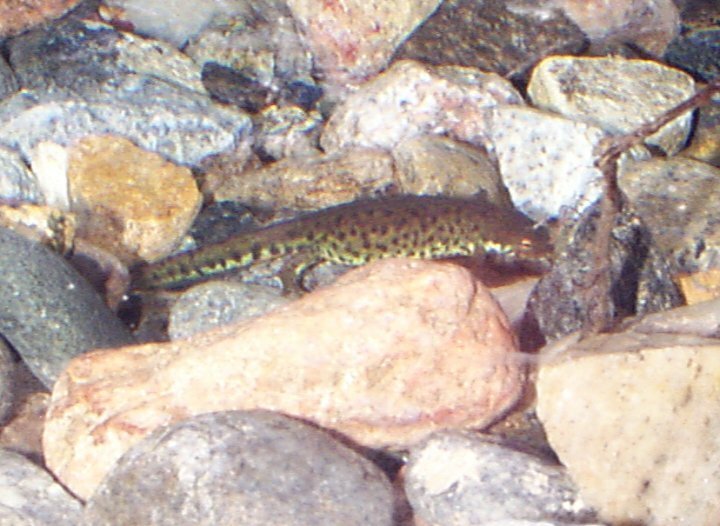 When water is scarce, it will find rocks or logs to live under. 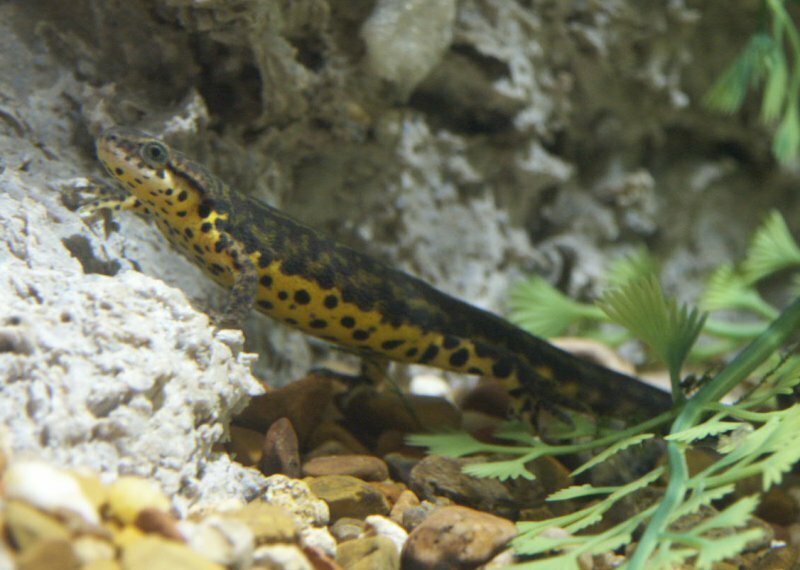 The Black Spotted Newt has been in captivity for 4-5 yrs. They are breeded at the Fort Worth Zoo.